Certified Green Team has been in the carpet cleaning business for more than 10 years. We specialize in providing the most effective deep cleaning available for all types of carpeting and area rugs. Certified Green Team has the expertise, the experience, and the products to effectively clean any type of rug without causing damage. Call (617) 586-2586 today for a free quote. We'll give you superior service and superior results. Guaranteed. Certified Green Team makes your rug's true colors come alive with a powerful deep cleaning that restores your rug to its natural beauty. Certified Green Team has provided unparalleled rug cleaning since 2009. Not all rugs are created equal. Which means that one off-the-shelf product is not going to work for every type of rug. In fact, you can permanently damage your rug by using the wrong product, technique, or tools. From expensive heirloom rugs to entry doormats, the professional rug cleaners at Certified Green Team will clean your rug properly. Tell us about your rug (material, shape, and size), and we'll give you a free quote: (617) 586-2586. Area rug cleaning is a highly specialized skill. 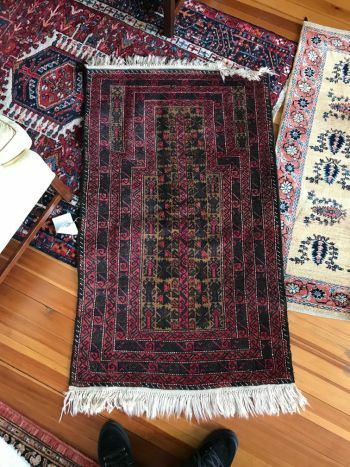 For a professional deep clean that will leave your rugs vibrant, not washed out, call the area rug cleaning experts at Certified Green Team: (617) 586-2586.